On April 10th 2013 was the opening show to launch The Collective’s new office and shopping dictrict. In the shopping area you can find designs from ~ghee~, JLB Apparel, Smesh and Shine by [ZD]. I had the pleasure to walk in the opening show and here are my stylings. My first outift was the lovely summer top and mini skirt from Smesh. Can’t wait for summer to arrive so that I can go out to the beach! My second outfit was the classy dress with a touch of retro from Shine by [ZD]. 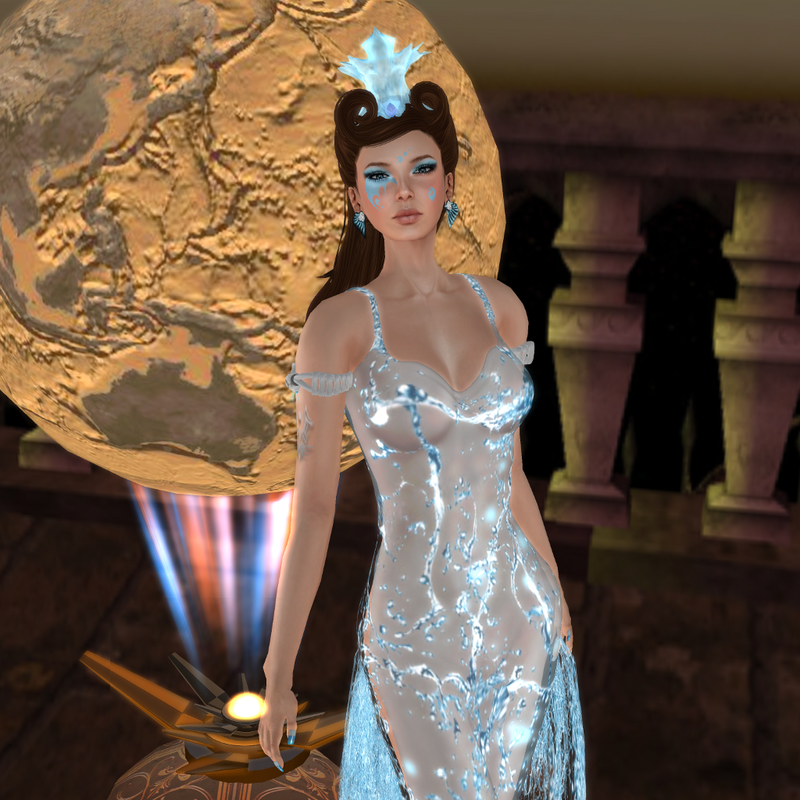 My third dress was the stunning Elemental gown “Water” by ~ghee~. Photos in this post are taken by Fjorester Wardark, thank you! The beautiful elemental gown from ~ghee~ inspired me to think about the value of water for all life. I made this styling and took pictures to show the contrast of the dry planet and the lovely light blue colour of water and accessories in the same spirit. Last weekend I had the honour to walk in the Mythologi of Asteria show organised by the InWorld Inc. agency. Here are my styling cards for the wonderful Asteria Creations outfits that I had the pleasure to present. When doing my styling I tried to catch the feeling of the ancient Greece.